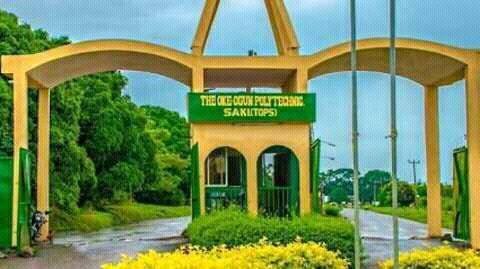 Oke-Ogun Poly Saki Acceptance Fee Details | The Oke-Ogun Polytechnic Saki, TOP admission acceptance fee payment, clearance and registration procedure for the 2018/2019 newly admitted National Diploma (ND) full-time candidates. Follow the publication of the The Oke-Ogun Polytechnic Saki (TOPS) ND full-time admission list, the management of the institution released the acceptance fee payment, clearance and registration procedure for the 2018/2019 academic session newly admitted candidates. TOPS Acceptance Fee Payment, Clearance and Registration Procedure. You are expected to pay the acceptance fee on or before 10TH NOVEMBER, 2018. Please note that the acceptance fee is NON-REFUNDABLE AND DOES NOT GUARANTEE YOUR ADMISSION Note that under no circumstance would the date for the payment of Acceptance Fee be extended. pay your acceptance fee with an ATM Card and Complete your online biometric fingerprint capture. Print your acceptance fee receipt and start your clearance at the Admission Office. Deadline for the payment of Tuition Fee is 8th December, 2018. Write your Phone No. and Department on your documents. The Oke-Ogun Polytechnic, Saki CBT/Application Slip. The Oke-Ogun Polytechnic, Saki Acceptance Fee Receipt. TUITION FEE MUST BE PAID BY 8TH DECEMBER, 2018 FAILING WHICH YOU FORFEIT THIS PROVISIONAL OFFER OF ADMISSION.